Burqa ban vs. Christian Flag ban – Where do you fall on the ethics of the Governmental decisions? O.K. – I know that this is a controversial subject, but at times it is worth taking the time to explore choices, consequences and opinions. A holy war is brewing in a small North Carolina city, where the Christian flag seems to be flying everywhere. A meeting of the King, N.C., City Council was packed on Monday with dozens of citizens who asked city officials to put the Christian flag back up at the local Veterans War Memorial. The council had voted to take down the flag rather than spend the estimated $200,000 to $300,000 it would cost to fight the American Civil Liberties Union in a First Amendment lawsuit. As an ethics speaker and author, I often pose questions that seem to illustrate the conflict between law and what many would call ethical behavior. If you define ETHICS as “that branch of philosophy dealing with values relating to human conduct, with respect to the rightness and wrongness of certain actions and to the goodness and badness of the motives and ends of such actions,” one might easily say that the values of this community – their human conduct – represents the ethics and values that they hold fast to and to remove (as is the case here) the Christian Flag from a public display lack ethics, values and does not represent the code of human conduct that is pervasive in this tiny North Carolina town. QUESTION: When testing the outcome of an action (the removal of the flag in this case) between the ethical beliefs of the community in contrast to the law – which should win? Should the offense of one or two outweigh the desires of the many? France’s plan to ban the burqa and other Islamic face coverings in public places is legal, top constitutional authorities in France ruled Thursday, so the law goes into effect immediately. In September the French senate approved the law – making France the first European country to nationally impose such a measure. The legislation was overwhelmingly approved by the lower house of parliament in July. French people back the ban by a margin of more than four to one, the Pew Global Attitudes Project found in a survey earlier this year. In this case the question, like the one above, rests on the law vs. the ethical choices of a group or religious beliefs of a group and popular legislative beliefs and actions. 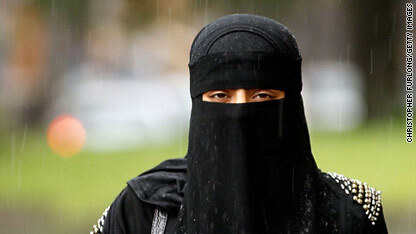 Female members of the Islamic faith in France are faced with a real conundrum. Do they comply with Islamic law or expectations or do they comply with the law of the land in which they reside? QUESTION: Is it ethical for a government to take an action that addresses the ability of an individual to practice their religion when the interests of the population is take away that religious compliance option? It is not my intent to express an opinion one way or the other, rather, my hope is that we raise the discussion regarding religious desire, practice, compliance, law and ethics. “I have an inside track on a great investment. You’ll get better than a 12% per year return. But, there are only a limited number of folks that I can get in on this offering. You interested? STEP ONE – make a promise that seems ‘special’ or ‘better’ than what anyone else can get on their investment funds! STEP TWO – Create an illusion that the investment is real. This is done with fake statements (Bernie Madoff has had co-workers indicted for their role in creating fake documents). Gordon Grigg is now in jail for his Ponzi scheme when he made a simple mistake on one of his fake statements. He reversed the names and instead of calling them Fannie Mae and Freddy Mac he stated Fannie Mac and Freddy Mae…oops. STEP THREE – Grow the fraud using trust. First you trusted the person who hooked you into the fraud, and now you’re using that same blind trust to lead others to the slaughter. Ouch…it will be painful both emotionally and financially on the back side. Charles Ponzi arrive in Boston on November 15, 1903, aboard the S.S. Vancouver. 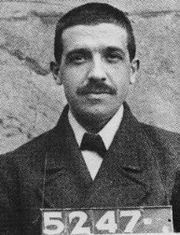 By his own account, Ponzi had $2.50 in his pocket, having gambled away the rest of his life savings during the voyage. “I landed in this country with $2.50 in cash and $1 million in hopes, and those hopes never left me,” he later told The New York Times. He quickly learned English and spent the next few years doing odd jobs along the East Coast, eventually taking a job as a dishwasher in a restaurant, where he slept on the floor. He managed to work his way up to the position of waiter, but was fired for shortchanging the customers and theft. NOTE: There was a pattern of theft and unethical behavior, but the consequence of his actions were not significant enough for Ponzi to change his ways. Imprisoned for forgery, Ponzi spent three years in the prison St. Vincent-de-Paul near Montreal. Rather than inform his mother of this development, he posted her a letter stating that he had found a job as a “special assistant” to a prison warden. After his release in 1911 he decided to return to the United States, but got involved in a scheme to smuggle Italian illegal immigrants across the border. He was caught and spent two years in Atlanta Prison, where he met inmate Charles W. Morse, a wealthy Wall Street businessman and speculator, where he learned of greater opportunities than simple petty theft. 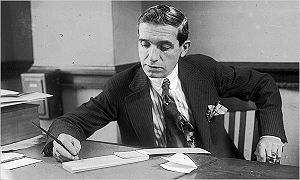 Ponzi seized on, what he said was an opportunity, to use postal coupons (I guess today we’d call them stamps), to make money. IRCs (the postal coupons referred to) were priced at the cost of postage in the country of purchase, but could be exchanged for stamps to cover the cost of postage in the country where redeemed; if these values were different, there was a potential profit. Here’s where Ponzi dreamed up his opportunity for fraud. Ponzi went to several of his friends in Boston and promised that he would double their investment in 90 days. The great returns available from postal reply coupons, he explained to them, made such incredible profits easy. Some people invested and were paid off as promised, receiving $750 interest on initial investments of $1,250. NOTE: The scheme always involves a promise of something that the average bloke just can’t get. So when someone – especially someone you trust tells you that they have a fail safe investment that offers great returns…be prepared to be scammed. Soon afterward, Ponzi started his own company, the “Old Colony Foreign Exchange Company,” to promote the scheme. He set up shop in a building on School Street. Word spread, and investments came in at an ever-increasing rate. Ponzi hired agents and paid them generous commissions for every dollar they brought in. By February 1920, Ponzi’s total take was US$5,000, (approximately US$54,000 in 2008 dollars). By March, he had made $30,000 ($328,000 in 2008 terms). A frenzy was building, and Ponzi began to hire agents to take in money from all over New England and New Jersey. At that time, investors were being paid impressive rates, encouraging yet others to invest. By May 1920, he had made $420,000 ($4.59 million in 2008 terms). NOTE: The illusion was in full force. Just as soon as folks began to see the promised returns happening (just as promised) they began to believe that what they were seeing was real. Bernie Madoff, Gordon Grigg, and many many more in just 2009 did exactly the same thing. They promised something and delivered…creating the illusion that all was just as portrayed. What investors didn’t know was that the returns they were seeing came from other peoples investments. By July 1920, Ponzi had made millions. People were mortgaging their homes and investing their life savings. Most did not take their profits, but reinvested. NOTE: Another psychological part of most Ponzi schemes is that once there is an element of trust, greed sets in and investors (wanting more and more) do not take their profits, but rather leave them for yet bigger and bigger profits. In effect, victims would rather gamble with their funds than protect their assets. Ponzi was bringing in cash at a fantastic rate, but the simplest financial analysis would have shown that the operation was running at a large loss. As long as money kept flowing in, existing investors could be paid with the new money. In fact, new money was the only way Ponzi had to pay off those investors, as he made no effort to generate legitimate profits. NOTE: It seems odd, but the obvious somehow becomes clouded in the quest for more money. In the Madoff scam…people now looking back could have seen that what he was doing couldn’t work…yet, Madoff survived three SEC investigations with flying colors. It seems that it is human nature to want to believe that what is not real somehow is real. Ponzi lived luxuriously: he bought a mansion in Lexington, Massachusetts with air conditioning and a heated swimming pool, and he maintained accounts in several banks across New England besides Hanover Trust. He also brought his mother from Italy in a first-class stateroom on an ocean liner. NOTE: Most Ponzi schemers use the funds (for the most part) for an illusory lifestyle. That’s part of the illusion that causes people to trust the schemer. Madoff, Grigg, Stanford (although he’s not yet been found guilty) Huffman and others all have become part of the illusion that promotes trust so that more people will invest (oops…become scammed). Joseph Daniels, a Boston furniture dealer who had given Ponzi furniture which he could not afford to pay for, sued Ponzi to cash in on the gold rush. The lawsuit was unsuccessful, but it did start people asking how Ponzi could have gone from being penniless to being a millionaire in so short a time. There was a run on the Securities Exchange Company, as some investors decided to pull out. Ponzi paid them and the run stopped. On July 24, 1920, the Boston Post printed a favorable article on Ponzi and his scheme that brought in investors faster than ever. At that time, Ponzi was making $250,000 a day. Ponzi’s good fortune was increased by the fact that just below this favorable article, which seemed to imply that Ponzi was indeed returning 50% return on investment after only 45 days, was a bank advertisement that stated that the bank was paying 5% returns annually. The day after this article was published, Ponzi arrived at his office to find thousands of Bostonians waiting to give him their money. NOTE: At the height of the schemes most fraudsters find that their false promise supported by an illusion and reinforced with trust (many times of well known and influential individuals) drives ever more folks to be sucked into the PIT. (PROMISE, ILLUSION AND TRUST). Likewise, at its height that is generally when the pendulum is preparing to swing in – well lets say – a more truthful direction. In other words the house of cards is soon to collapse. On July 26, the Post started a series of articles that asked hard questions about the operation of Ponzi’s money machine. The Post contacted Clarence Barron, the financial analyst who published the Barron’s financial paper, to examine Ponzi’s scheme. Barron observed that though Ponzi was offering fantastic returns on investments, Ponzi himself was not investing with his own company. Barron then noted that to cover the investments made with the Securities Exchange Company, 160 million postal reply coupons would have to be in circulation. However, only about 27,000 actually were. The United States Post Office stated that postal reply coupons were not being bought in quantity at home or abroad. The stories caused a panic run on the Securities Exchange Company. Ponzi paid out $2 million in three days to a wild crowd outside his office. He canvassed the crowd, passed out coffee and donuts, and cheerfully told them they had nothing to worry about. Many changed their minds and left their money with him. However, this attracted the attention of Daniel Gallagher (no relation by the way – although that would be quite a coincidence), the United States Attorney for the District of Massachusetts. Gallagher commissioned Edwin Pride to audit the Securities Exchange Company’s books—an effort made difficult by the fact his bookkeeping system consisted merely of index cards with investors’ names. The denouement for Ponzi began in late July, when McMasters found several highly incriminating documents that indicated Ponzi was merely robbing Peter to pay Paul. He went to his former employer, the Post, with this information. The paper offered him $5,000 for his story. On August 2, 1920, McMasters wrote an article for the Post declaring Ponzi hopelessly insolvent. 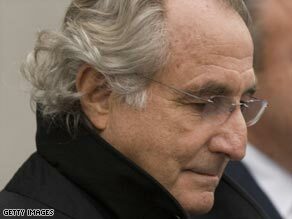 The article claimed that while Ponzi claimed $7 million in liquid funds, he was actually at least $2 million in debt. With interest factored in, McMasters wrote, Ponzi was as much as $4.5 million in the red. The story touched off a massive run, and Ponzi paid off in one day. He then sped up plans to build a massive conglomerate that would engage in banking and import-export operations. On August 11, it all came crashing down for Ponzi. First, the Post came out with a front-page story about his activities in Montreal 13 years earlier—including his forgery conviction and his role at Zarossi’s scandal-ridden bank. That afternoon, Bank Commissioner Allen seized Hanover Trust after finding numerous irregularities in its books. Although the commissioner did not know it, this move foiled Ponzi’s last-ditch plan to “borrow” funds from the bank vaults after all other efforts to obtain funds failed. With reports that he was due to be arrested any day, Ponzi surrendered to federal authorities on August 12 and was charged with mail fraud for sending letters to his marks telling them their notes had matured. He was originally released on $25,000 bail, but after the Post released the results of the audit, the bail bondsman withdrew the bail due to concerns he might be a flight risk. The news brought down five other banks in addition to Hanover Trust. His investors were practically wiped out, receiving less than 30 cents on the dollar. The Post won a Pulitzer Prize in 1921 for its exposure of Ponzi’s fraud. Same place we were when old Charles created what we now call the “Ponzi scheme.” Robbing Peter to Pay Paul is the name of this game and unfortunately it existed before Charles Ponzi (he just got the notoriety for it) and continues to this day…and unfortunately will continue. People get victimized, in a sense, by their own greed – although many don’t wish to admit that. But, reality is – the investor (victim) wants a better return than he/she can get elsewhere (they fall victim to a false promise). The illusion that the fraudster creates lures the investor victim into believing that what seemingly can’t be real – in fact is. And, most fraudsters prey first on those closest to them – their friends, family and close acquaintances people that trust them. The fraudster typically uses need, opportunity and rationalization to effect their crime while the victim falls into the PIT – or stated this way, they fall victim to a PROMISE supported by an ILLUSION which has a foundation in TRUST. Business Ethics Training – “The Office” – What Not To Do! People, especially now, are sensitive to the need for ethical action. However, ethical belief and action does not generally mean a commitment to teaching ethics. In fact, in a national survey, most companies (there are notable exceptions) do very little to teach and promote ethics. So often, as a business ethics speaker, I hear people recite the statement, “There is no such thing as business ethics, only ethical people.” Well, that statement is all fine and good, but the reality is – businesses do have a culture and if ethics are not a core value, then unethical behavior is likely. So what’s this “what not to do” stuff? Simple answer…but first you need to watch this episode of “The Office” on NBC. A link is provided. (1) They have a Business Ethics seminar because “there’s been some misconduct at corporate.” All too often I find that the business ethics speaker/trainer is called because there is already a problem. Not that fixing a problem isn’t a good thing to do, but wouldn’t it be better to avoid the problem in the first place. (2) As soon as the “seminar” started, there was doubt that the company had a true commitment to ethical behavior. If you were to truly ask the rank and file of your company if they would keep a highly productive but unethical sales person, what do you think they would say? Their answer might give you a clue as to whether there is a culture of ethics (or right choices) within your company. (3) How exciting – they first review the survey results. Now, honestly, how often do you feel that company employees truly express their feelings or opinions on a company survey. More times than not when I am consulting with a company I find that employees distrust the company and are more apt to tell then (the company) what they think they want to hear. (4) The training centers around office supplies, excessive breaks, and other issues that do not, in my opinion, get to the heart of an ethics culture. Banks making loans to people who could ill afford to make the payments is unethical – the heck with the paperclips. Now…from here I move away from the show – although quite amusing. When you look up the word “ethics” the following is the first definition: the discipline dealing with what is good and bad and with moral duty and obligation. All too often ethics training deals with the “good and bad” and ignors the larger question of moral duty and obligation. Developing an ethical culture is centered around creating a moral duty and obligation – taking actions that are in line with that duty. EXAMPLE: The other day I heard a well known economist say that the actions taken over the past seven years were logical and appropriate. I could not disagree more. It was unethical for financial institutions to loan money to people when there had reason to believe that they may not be able to repay the debt. These financial institutions ignored their “moral duty and obligation” in the name of short-term quarterly profits. For a time they were rewarded by Wall Street…but as we have seen – all of that value has diminished. The lack of an ethical foundation in their business decisions provide short-term gain and huge long term loss. They made choices that lacked fundamental ethics. I guess in the end…you need to determine if the definition fits your company. 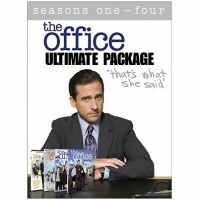 If you need something better than what the folks in “The Office” elected…give me a call. Payroll Tax Fraud Indictment – Wisconsin Man Faces Charges and 92 Years In Prison! Ouch! Daniel D. LaMarch, if convicted, may well spend the rest of his life in prison. The thoughts of dying in prison have to be daunting and LaMarch is facing just that. period, LaMarch withheld from the wages of the employees of Title Services of Green Bay more than $500,000 in payroll taxes, but that he failed to pay those funds to the IRS, as required by federal law, or to file the quarterly payroll tax returns (Forms 941) that he was required to file reporting the wages, and payroll tax withholdings. under paid his federal taxes by more than $115,000. Every choice has a consequence. It should be evident by now, regardless of your opinion of the fairness of our tax system, that one cannot avoid filing and paying taxes. Wesley Snipes tried and lost. Sure he was not convicted of fraud, but he was convicted of failing to file and awaits his sentence – which could include prison. Based on these charges, LaMarch faces up to 92 years in prison and fines of up to $5 million dollars if convicted on all counts. 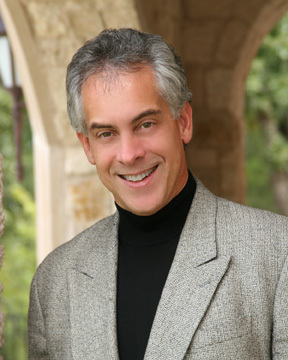 As a business ethics and white collar crime speaker, (www.chuckgallagher.com) I routinely speak to business groups and associations about the Truth About Consequences. It is true…you reap what you sow. In this case, regardless of the motivation, the reality is Daniel D. LaMarch will likely spend many year in federal prison. He will have time to evaluate whether the temporary benefits he might have enjoyed was worth the ultimate costs. Having been there…I can speak from experience. It is not! 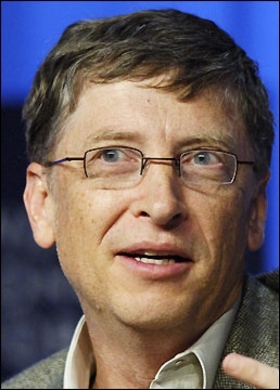 Facebook, Social Networking and Bill Gates – Is it Worth It? Gates Says ‘No’! In the business technology section of the Wall Street Journal blog, Ben Worthen posted a blog about Bill Gates – Microsoft’s Chairman – stopping his use of his Facebook account. The question is – what message does that send? The WSJ Blog is linked here. Review: Beyond the obvious issue, receiving a lot of press, related to teens – children and predators – the larger question is adult usage and consequences that might follow. Computerworld posted a great article on The Pitfalls of Social Networking. Too much Bandwidth usage. Downloading and storing these files can cripple your infrastructure and make capacity planning virtually impossible. Potential Legal Liability. Should employees use corporate IT resources for purposes of posting dissatisfaction with others, the company could be held responsible in any ensuing litigation. Exposure to Malware. These networks are potential vehicles for introducing viruses, worms and spyware. Decreased Employee Productivity. Even when networking is used for business purposes, corporations may want to limit the number of networks employees use. Monitoring many networks can become incredibly time-consuming. Moreover, interfaces among current networks don’t support robust information-sharing. Disclosure of Personal Information. Companies regularly search MySpace, Classmates.com, LinkedIn and other social networking sites to glean information about potential hires and competitors. Risk of Leaking Corporate Secrets. Companies often sanction social networking for the purpose of exchanging professional information. But take great care to protect corporate secrets. Definitions of secret may vary or be misunderstood, and critical information may inadvertently be revealed. Limited Executive Use. Executive use of social networking is not widespread, however. Many executives already have substantial personal networks and rely less on new technological platforms for interaction. The computer mogul got so hooked on the social networking site that he splashed out £120million on a 1.6 per cent stake in it last year. Bill, 52, spent 30 minutes daily catching up with pals. But he signed off after getting more than 8,000 friend requests a DAY, and spotted weird fan sites about him. As a business ethics and teen ethics speaker, (www.chuckgallagher.com), I routinely talk with parents about the pitfalls and dangers of social networking through MySpace – Facebook, etc. While I think social networking is the way of the future, especially among young people, it is important for parents to understand the dynamic change when it comes to child – teen safety. Likewise, it is critical for business people to better understand the issues that come with security and corporate ethics and responsibility. Have you had an experience with social networking that you’d want to share? Should parents know more about MySpace and Facebook? What pitfalls do you see for employees involved in Facebook or MySpace? I recently read a newspaper article on attitudes towards work. America: The more you worked, the more you billed, and more the profit you generated for yourself and your company. France: The fewer hours you work, the more vacation you take, more the time you get to grumble about the state of the universe, and smarter you feel. Australia: On Mondays, they would talk on how they enjoyed the just-ended weekend; on Thursdays, the talk would be on what one would do on the coming weekend; on Friday afternoons they would not be any talk as they are already driving off to the nearest beach or hill ranges. Urban India: When I meet software professionals, I see that the talk is like as in America – billings and profits. While attitudes of work are seen in some other areas of businesses, most others exude a chalta hai attitude; anything will do; performance and good work be damned ! The question for this blog is not about other countries, but more about what you think. What does “work ethics” mean to you? Is it more “ethically” sound to achieve your personal goals or to achieve the goals of the employer? Is it possible to meet both? Has the strong focus on business performance in America helped or hurt our country? Feel free to respond- the commentary should be interesting! You are currently browsing the archives for the Working in America category.